OK, this is going to be one of the most politically incorrect blogs I have ever written. If you don’t like that kind of thing, you need to quit reading now. If you don’t quit reading, please don’t write to me to tell me how horrible I am. I just hope that those who actually GET IT, also get a good laugh. I was raised to see all people as equals. Yes, sadly, some are still more equal than others, especially in certain parts of the world and in certain parts of this Country. I was brought up in Gloucester, Mass, a crazed hockey town. We had season tickets to the Boston Bruins and we sat right behind the visiting bench. We heckled the heck out of those guys. I can’t believe they didn’t turn around and deck us! Those were the days. There were only SIX teams in the NHL. NOBODY wore helmets in the pros. If you did, you were a BIG WIMP! The fights were legendary! Now THAT was hockey at its best! 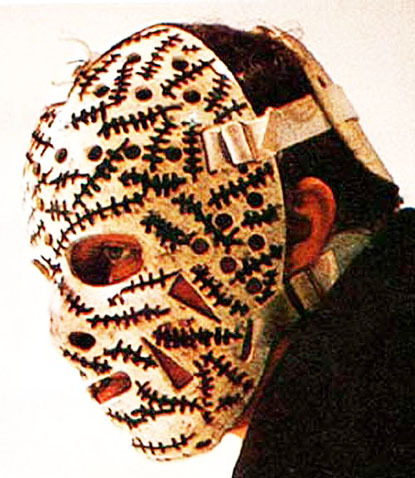 It wasn’t too long after Gerry made the goalie mask cool, that more babies on the ice started wearing helmets! It was a given in high school hockey and college, BUT THE PROS???? COME ON! What was the world coming to? Eventually, the helmet became mandatory. Sure, it had its advantages (like saving lives) BUT THIS IS HOCKEY!!!! This is not badminton or croquet! It is down and dirt, slam ‘em against the boards, check the crap out of ‘em, then beat the S#!T out of ‘em! It didn’t get any better than a knock down drag out fight. First the gloves came off and then it really got good! The more blood the better! Then what happened? THEY BANNED FIGHTING! That was right up there with banning victory dances in football! That was the only reason I watched freakin foosball in the first place! Hockey doesn’t belong in cities that can grow palm trees and citrus! Now don’t get me wrong! Two major criteria of where we live are that palm trees and citrus must grow there. JUST NOT HOCKEY! Now I tune in Olympic Hockey and what do I see? WOMEN!!! WTF????? How can I cheer for body slams against the boards, checking and dirty play with a bunch of girls on the ice? Two words for them, FIGURE SKATING!!!! remember pretty guy lafleur with his hair streaming behind him as he skated sans casque? damn fine… loved my original Canadiens. I guess you never played field hockey against the mean girls at my high school. I know, before you know it women will want to participate in ski jumping and that thing where they ski and shoot guns, crazy! I know Steve! And the bobsled thingy events too!